Believe it or not, the publishers struggling to generate ad revenue know exactly what their advertisers want. The problem is, they’re serving it in the worst possible way. Instead of giving advertisers premium spots to display their beloved videos, publishers are steadfast in their commitment to deteriorating user experience with video autoplay and pre-rolls. They’re taking video, the caviar of content, and serving it in a McDonald’s takeout bag. The worst problem is that many of them understand that this is the wrong way to serve video ads, they simply do not have any alternative. The current system is broken. Don’t take our word for it, check out this Digiday interview. Let’s break down a few parts of the last paragraph, in particular. 52% of marketers named video as the type of content with the best ROI. Why? Because, when properly leveraged, it engages viewers and relays information in a way that text and images cannot. Advertisers want pre-roll and autoplay because publishers give them no other options to leverage their videos. 90% of people skip pre-roll ads… there has to be a better way. The model is broken. The average American is exposed to anywhere from 4,000 to 10,000 ads per day… and 68% of them recall less than 5 ads they’ve seen in the past week. Consumers are deploying ad-blockers and ignoring everything that they don’t want to engage with. If you counteract that with more undesirable content, their opinion of your site (or brand) is only going to worsen. Thankfully, there’s a way for publishers and advertisers to overcome these challenges and re-invent their customer experience. User-initiated native video advertising engages visitors and adds valuable content to your site; which in turn increases ad revenue and boosts customer experience. It’s truly a win-win. TVPage gives you an intelligent platform to create a true, user initiated native video experience that generates many new advertising opportunities, eliminating the pitfalls associated with today’s broken advertising model. In the Digiday article, the editor laments that “We’re told to put videos on top of stories that aren’t even related to the story.” Not only does it waste the advertiser’s money by displaying their content in irrelevant spots, but it also damages the publisher’s ad revenue and user experience. TVPage eliminates this problem by programmatically optimizing content based on performance, content, and audience. This ensures that you’re always presenting the most relevant and highest converting ads, while simultaneously giving your team the freedom to focus on other projects. 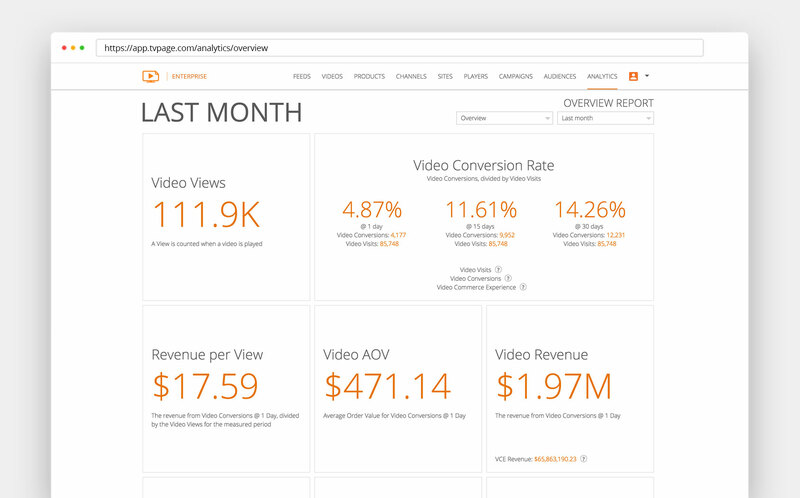 In addition to automated optimization, the TVPage platform also makes your videos shoppable. The attention span of consumers is at an all-time low 8.25 seconds, meaning that presenting them with a relevant ad is only part of the battle. If they see a product they like in an ad, it’s only a matter of seconds before their mind wanders onto other things. TVPage enables you to add products to videos and displays them while you are in a multi-minute session engaged with the video. The product offers are directly related to the content and appear alongside the player in a non-obtrusive manner. This shortens the advertiser purchase funnel tremendously, leading to more click-throughs and conversions. The technology is proven to increase conversions by 5x! Imagine what that does to the value of your ad inventory! Sell Premium Native Video Spots that contain Product Offers during playback. The TVPage Video Commerce Cloud will get you up and running with 1 and 2 above in no time. Don’t succumb to old, failing traditional ad formats. Schedule a demo with us to see how TVPage can substantially increase your ad revenue and reinvent your user experience!